There’s something I need to say. Sometimes Christians are the world’s biggest liars. We say that we are “too blessed to be stressed” or that “God doesn’t give us more than we can handle” or that we are confident that “this too shall pass” or that “God will work everything out to our good.” It’s like we think that if we say things are horrible or sad or too hard that this somehow diminishes who our Great God is. So…we all have this internal struggle. We all do. Whether it’s with doubt or addiction or circumstances or broken hearts or hard times or injustice or whatever. Sometimes we absolutely and most decidedly are NOT too blessed to be stressed. Sometimes I’m really freaking stressed. I read an article on HuffPost this week called “The One Things Christians Should Stop Saying” http://www.huffingtonpost.com/scott-dannemiller/christians-should-stop-saying_b_4868963.html and it stirred something in me. When did we stop speaking the truth? I want to tell the truth because I need you to pray for me, give me a hug, share YOUR story with me. I need to make room for God to deal with my heart. A heart that is all tangled up in lies is not a heart that is open for healing. 1. We want to be strong. This is a tough one for me because my life heroes are strong Christian women with unshakable faith and determination and wherewithal. And I want to be like that. But I’m learning (oh, so slowly) that being honest and being real is a sort of strength. Being brave enough to face what’s happening with honesty and authenticity, being willing to be uncomfortable but true…it’s the Sacred Scared. Sacred Scared Somehow, we’ve convinced ourselves that strength, even false is more valuable than vulnerability. 2. We don’t want to make a mess. Facing our fears and our emotions and our hurts and our struggles is super messy. Feelings might fall out all over the place, tears might flow, we might do the ugly cry. We might make others uncomfortable. We will have to clean up the mess. 3. We don’t have time. We are so busy, running so fast and so hard that we don’t have time to stop and ugly cry and lay in the floor and process. We have to get this kid to ballet and this kid to soccer and hubby has a meeting and we have choir practice or PTA and we have to finish the project and we have to bake 87 muffins and we are busy, busy, busy. Too busy, busy, busy. 4. We are afraid that if we tell the truth, that it’s a bad ad for our Faith. We are afraid that if people know that being a Christian does not guarantee ease and deliverance and sunshine and rainbows, no one will want to sign up. We are afraid that if we tell the truth, that it’ll seem like we don’t have faith, that we don’t trust Him. We are afraid that if we tell the truth, He won’t seem good. Or maybe even that He won’t BE good. But the thing is…He is always good. He can never be better, He can never be worse. He will never love us any less and He will never love us any more, because His love is perfect. 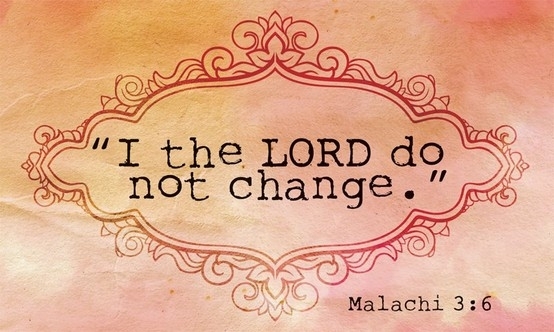 What we do…what we do can NOT change who HE is. God can handle our weakness. He can handle our brokenness. He wants to tend to our wounds. His Spirit is like oil poured out on our broken places. We have to tell the truth and be vulnerable and be authentic. This is how it gets better. Because He is with us. He is always with us. And I know how much I love it when people tell me the truth. “How are you?” I’ll say to another mommy and if she says, “Just great!” that’s just fine and we hang out and have a pleasant time. But if I say to another mommy, “How are you?” and she says, “Yesterday, I cried the whole time I made the peanut butter sandwiches.” that’s a whole other kind of visit. I can commiserate with her. I can give her a hug. I can pray with her. Give advice. Just stand with her. There’s solidarity in that kind of honesty. Love flows easily when it has an open and honest riverbed to flow through. Sometimes things are Just Fine. And when they are, that’s when we need to reach out to friends that we suspect are NOT just fine. We can do this. We can tell the truth. Don’t worry, it won’t make God any less God. It won’t make us any less Us.